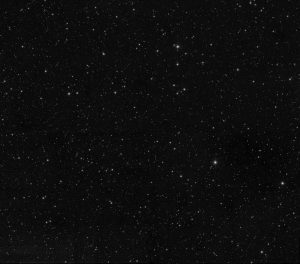 On the 1st August 2017, Nottingham’s astronomy group released the largest ever infra-red image of the sky. The image has 1.5 million megapixels and gives the most detailed view ever of the northern hemisphere from the ecliptic plane right up to 60 degrees north of the ecliptic. 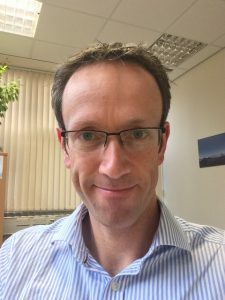 In this guest post, Dr. Simon Dye describes the work that went into the UKIRT Hemisphere Survey data release and the science we hope to achieve with it. 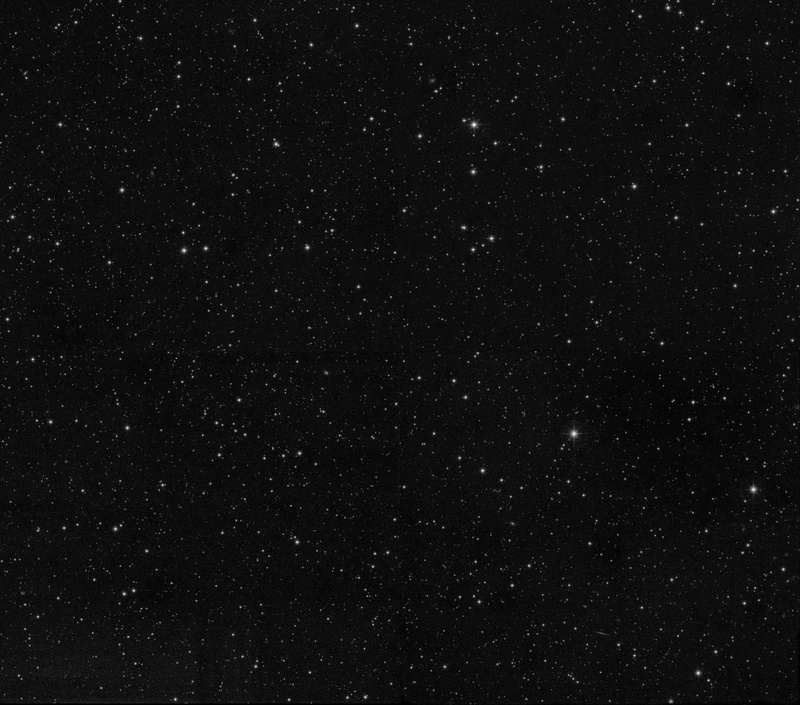 This image is a mere one-millionth of the total area of the UKIRT Hemisphere Survey. Click for full size. 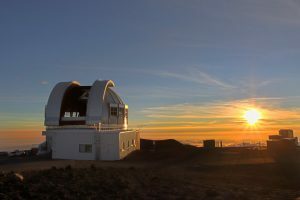 The image was captured at a wavelength of 1.25 micrometers using the United Kingdom Infrared Telescope (UKIRT) located near the summit of Mauna Kea, a dormant volcano on Hawaii. Although this wavelength is invisible to the human eye, UKIRT is a dedicated infrared telescope with high sensitivity thanks to its large 3.8m diameter primary mirror and its highly efficient survey camera, the Wide Field Camera for UKIRT (WFCAM). The image is the culmination of 12 years of observational work carried out as part of an astronomical survey called the UKIRT Hemisphere Survey (UHS). The UHS is an international project led by Nottingham which has brought together many global partners including the Universities of Edinburgh, Hawaii and Arizona, Lockheed Martin and NASA. In addition to release of the image, we also released a catalogue of all objects detected in the image using specialist source extraction software. The catalogue contains nearly two billion stars and galaxies. This catalogue forms a brand new atlas acting as a point of reference for future generations of astronomers. One of many advantages of having such a large and complete dataset is the ability to look up astronomical sources following rare events such as supernovae, gamma ray bursts and occurrences such as the recent detection of gravitational waves. If such an event takes place and new image data are acquired, we can make comparisons with the UHS image data to characterise any changes that have occurred. The vast size of the UHS image will also allow new studies of the structure of our own galaxy. The plane of the Milky Way contains large quantities of dust which block optical light. With these new infrared observations, astronomers can begin to peer inside dust obscured regions to explore the formation of new stars and the physics that drives such processes. Similarly, the huge accompanying source catalogue will enable new statistical studies of the structure of the Universe, by detecting galaxies not previously discovered. Finally, a large survey like this brings about the detection of rare events. Two classes of objects that astronomers are keen to start searching for in the data are highly distant quasars which formed soon after the big bang (and in fact two have already been found in the UHS) and so-called free-floating planets which form a relatively new class of astronomical objects. We expect such planets to be mainly gas giants which have been ejected from the planetary system where they formed. Since they are a long way from their parent star, they do not reflect any visible light and we must look for them in the infrared where they glow due to their internal heat. At the same time that the 1.25 micrometres image was released on Aug 1st, we started the next round of UHS observing; the whole survey area will be imaged again, exactly as before, but this time at the longer wavelength of 2.2 micrometres. 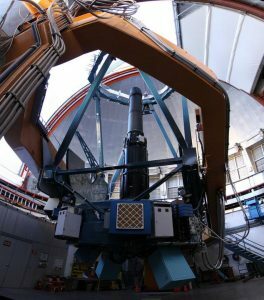 The idea is that combination of 1.25 and 2.2 micrometer data allows astronomers to measure the infrared ‘colour’ of objects which will give us much improved diagnostics on the sources detected, such as being able to determine the type of object and giving an idea of their distance. UKIRT has now entered a more intense surveying mode and expectations are that we will complete this second pass at 2.2 micrometres much faster, within a couple of years.